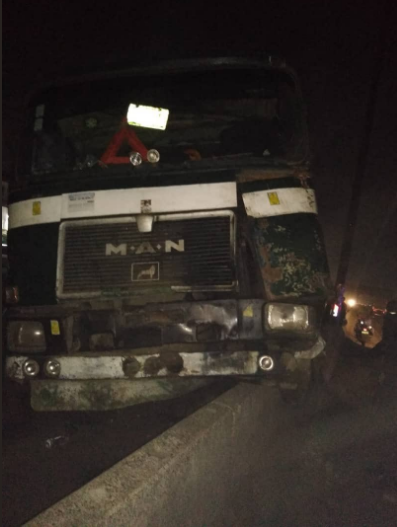 Some policemen yesterday narrowly escaped death when a trailer lost control and ran into their vehicle in Oshodi, Lagos. 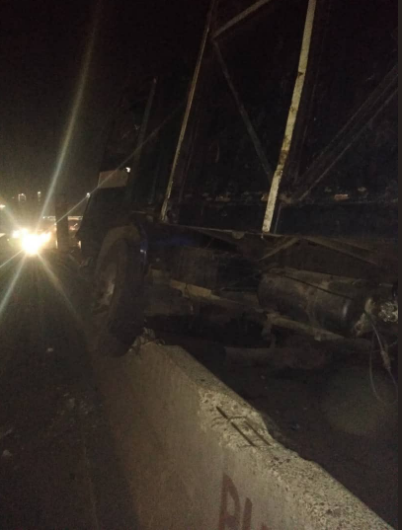 According to reports, the vehicle of the Rapid Response Squad (RRS) men was stationed on the bridge, before the trailer ran into it. 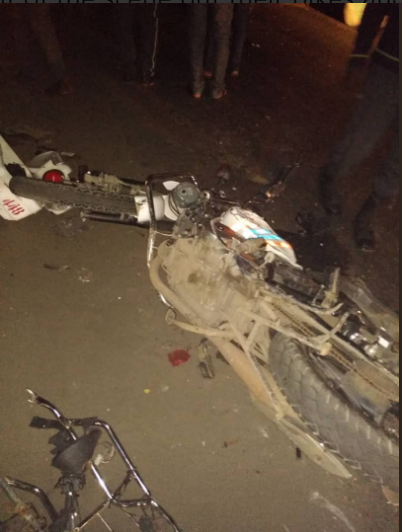 Luckily for the policemen, they sensed danger and all ran out of the vehicle but their bikes and gears were all damaged beyond repairs. Everyone involved were later taken to Bolade Police station for investigation.